Cliona and Stuart came all the way from Australia for their wedding at Dalhousie Castle. 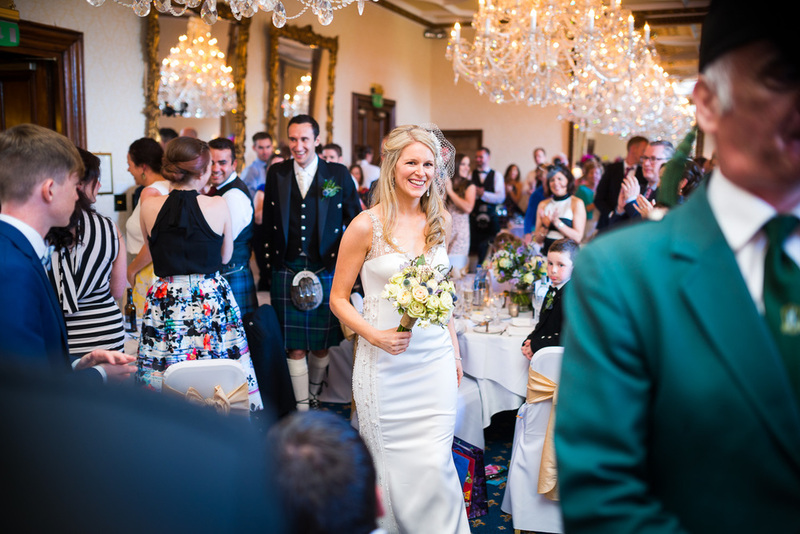 With guests coming in from Ireland as well as all over the UK this was one big international wedding right here in the heart of Scotland. I arrived for bridal preparations with hair and make-up in full swing while my good friend Colin from Cam-Media Videography was busy filming shots of the shoes and other details. The girls were having a great time being pampered as the ceremony time fast approached. I found Stuart in the Library Bar adding the finishing touches to his speech as the other guests started to gather in the bar. It was time for the ceremony and time to head off to the church in Rosewell. Cliona looked stunning in vintage style dress and birdcage fascinator. Her father walked her down the Aisle at St Matthews Church in Rosewell. After the ceremony we all headed back to Dalhousie Castle for drinks and photographs. It's such a beautiful place for any wedding photographer to work in. Spectacular views as well as nice period details inside. Easy to see why this is one of my favourite venues. After dinner the sun was setting and the light was terrific. I knew we had to get out there and Colin had found a gap in the fence to the cornfield next to the castle. What a way to finish the perfect wedding day. Fantastic couple at sunset in a Scottish Castle. Doesn't get any better! 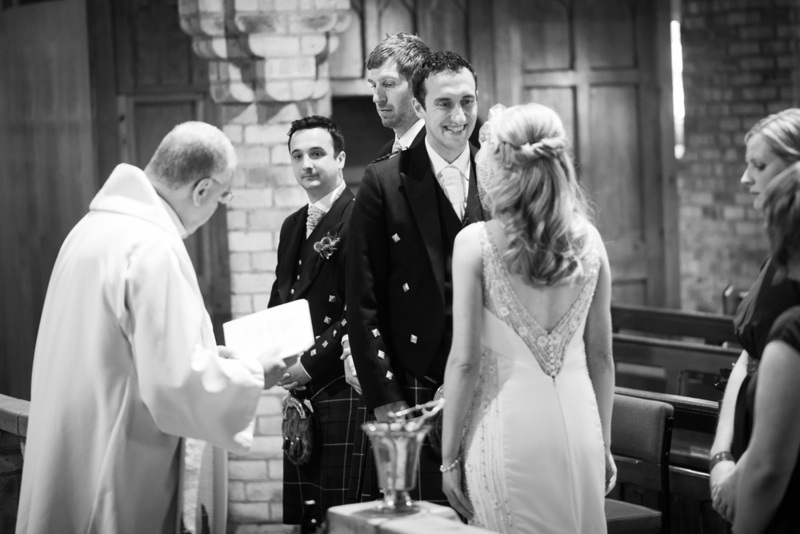 Weddings at Dalhousie Castle, one of central Scotland's premier wedding venues, you really can't go wrong. Recently under new management but still putting on beautifully intimate weddings. There's something about Dalhousie Castle I can't put my finger on it but it always feels like a nice cosy family wedding. It doesn't cater for huge numbers but it makes up for it by providing a very personal intimate wedding in spectacular surroundings. Wendy and Mark travelled up from England with their friends and family. We had a great laugh while the girls were getting ready and sipping on the brandy to calm the nerves. Then I headed down to meet Mark and the Best Man at the falconry centre where they were practicing for the Owl to deliver the rings during the ceremony. Wendy looked beautiful as she was escorted to the chapel to take Mark's hand. Marion Jackson always provides a really personal Humanist ceremony and I've been lucky enough to have attended lot's of her weddings. Unfortunately the wind was approaching veil take off speed so we did most of the shots indoors. Wendy and Mark wanted a more reportage style (my Fave) of their day so they could look back and remember it as it happened. That they will. Thank you both very much for letting me spend your wedding day with you. 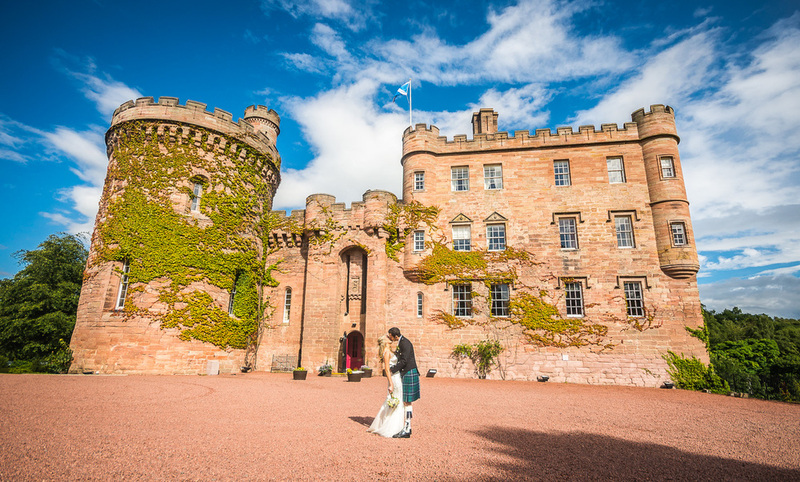 Lisa and Chad flew all the way from The United States for their wedding at Dalhousie Castle this Autumn. Lisa's sister and her partner also hopped over the pond to witness the special day. A bride a groom and two guests....well, three guests including myself. That's how Lisa and Chad made me feel. It was really a pleasure to be part of their special day. Carmen, Lisa's sister, is hilarious too. Kept me chuckling all afternoon. I was kindly asked in for a wee dram after the photos and we ended up chatting for a good hour about back home and their travel plans while in the UK. Carmen even had a go at taking some photographs with my camera so apologies for the last couple of photos on the blog, I was doing my best Freemans catalogue poses. Dalhousie Castle weddings are great. 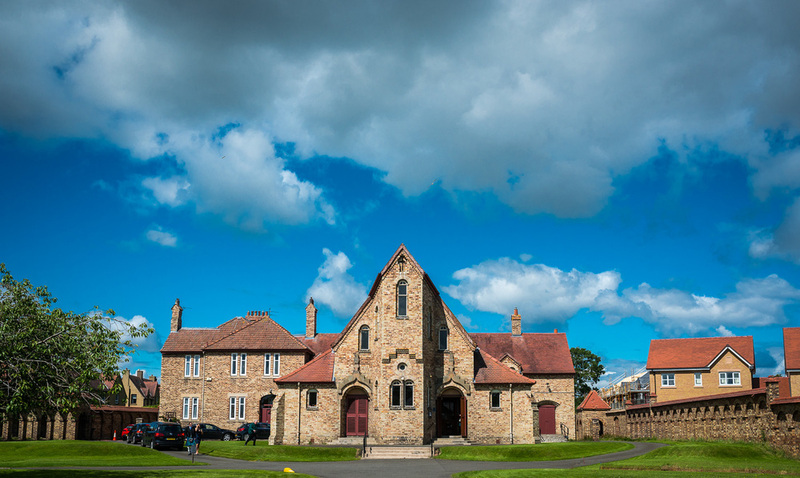 Not only is it one of Scotland's premier wedding venues, it's only 10 minutes from the studio. As always at Dalhousie, the staff were tremendous with Graham and his team looking after, Toni, Martin and the guests. Toni and Martin are from West Sussex and came up to Dalhousie for their e-session too. We did also visit, Crichton Castle which is a ruin but equally stunning. One of my favourite places for an e-shoot, as long as it's not too windy at Crichton. That's another story though. What can I say about Dalhousie that hasn't already been said. One of my favourite venues, amazing team and when you pair that with a brilliant couple like Toni and Martin and I really couldn't go wrong. The families were great too. Toni's brother is Head Chef at The Horseshoe in Eddleston and I have dined their a couple of times this year. His food is exceptional! I would highly recommend a visit if you are in the area checking out the castle. It's only around 20 minutes from Dalhousie but easily one of the best restaurants in The Borders. All this talk of The Horseshoe is making me hungry, looks like I might need to pay Alastair another visit! When I want to get away from it all, I head to Crichton Castle with the dogs. It's such a peacefull location with a rugged beauty that few places nearby can match. Toni and Martin are getting married only a few miles from Crichton. Their venue is the stunning Dalhousie Castle. One of my very favourite venues as everywhere you go, whether inside or out, is simply beautiful. There are so many fantastic shots to be had at Dalhousie. Here are a few shots from the E-Session.